Just like it does for the Scouts, the motto “Always Be Prepared” can serve city officials well — before, during and after a disaster — so expenses can be recouped from the Federal Emergency Management Agency. Unless you reside in a community that’s prone to tornadoes, hurricanes or blizzards, officials might get a little comfortable with an “it can’t happen here” mindset. With that in mind, McHugh said it’s crucial that they have competent people in positions of emergency management, all of whom are aware of the three phases of disaster preparedness — the preparation phase, the planning phase and the recovery phase. “It’s all about knowing what to do and how to do it,” he said, adding that when he was mayor of Baton Rouge, he and other officials learned that vendors, who they worked with on a regular basis, could be helpful in a disaster by having pre-approved contracts with them ready to go. “If you wait until you have an emergency to decide what to do, you’ve already dug yourself into a hole,” he said. In the state of Louisiana when a storm moves into the gulf, cities already start to make plans, according to McHugh. Examples of the preparation phase include having mutual-aid agreements in place with neighboring first responders; having those pre-approved emergency contracts with vendors ready so they can help in those first hours; and having local ordinances in place that address things that may come up during an emergency. All of these pieces will help during the disaster and afterwards when dealing with an audit. McHugh pointed out that there are those in certain levels of government who work constantly in a storm situation, putting in an extreme amount of overtime and who, under normal circumstances, wouldn’t be paid overtime but could be if there was an ordinance in place ahead of time. “You can’t make that decision on the fly; you have to have an ordinance that states someone in a salary position who, under normal circumstances, wouldn’t get paid, under these specific circumstances, they would. If you have such an ordinance, you may get reimbursed by FEMA,” he said. Usually anything that is pre-approved by working with federal and state officials more than likely will be reimbursed as long as it’s documented, McHugh added. For smaller communities that can’t afford a full-time emergency manager, he advised, “Usually there’s someone on staff that has some interest in it — just do the best you can.” He also suggested to do so while eliciting support from county and state officials who would be more well versed in these matters. One of his biggest pieces of advice for acing an audit is to stay on top of all those expenditures as they are occurring, including hours worked and even volunteer hours. “Start documenting even before you know whether it’s going to turn into a full-fledged disaster,” McHugh said. “Then you’re prepared. 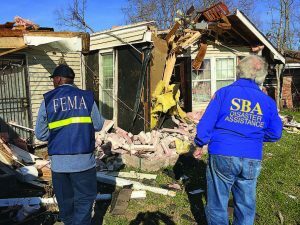 Both McHugh and Brett Kriger, deputy director of disaster response for Louisiana Municipal Association, said when it comes to storms and other natural disasters, it’s not a matter of if you’ll be audited, it’s a matter of when. One community that feels it is ready for that anticipated audit is Seaside Heights. It had been heavily damaged in Hurricane Sandy, which in October 2012 caused historic devastation and loss of life. 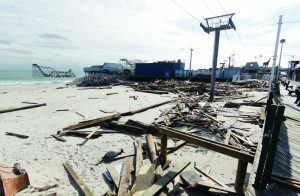 According to the Department of Homeland Security’s Office of Inspector General’s report, it was the second largest Atlantic hurricane and the amount of debris was unprecedented, leaving parts of the state inaccessible. 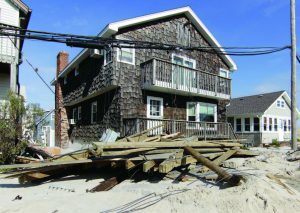 Seaside Heights was among the 565 municipalities where a state of emergency was declared. 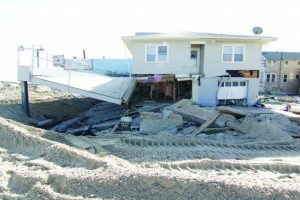 Chris Vaz, administrator for the borough of Seaside Heights, said while it has not been audited by FEMA yet, the state of New Jersey has been and was found to be in compliance. State officials have been working with Seaside Heights to ensure it is ready for that inevitable audit. Vaz said state officials have reviewed its files for about two years. “We had a series of audit preparation meetings to make sure we had our files together,” he said. Vaz would advise small communities like theirs to have a contract in place before an emergency occurs. He said these companies have spread sheets and software to document everything needed during these types of disasters. “They’re a great level of support, especially in the first hours of crisis, because you have to document everything from the first minute,” he said. Seaside Heights was hit with a double whammy. Nine months after Hurricane Sandy, a fire took out nine blocks of boardwalk. Vaz said it was determined that the fire was a result of damage caused by Sandy. “Hurricane Sandy had a causal effect so it was a second punch for us. We’re still submitting reimbursement requests,” he said. He acknowledged that cities that get hit regularly with natural disasters probably have internal staff to deal with these things. “The Jersey Shore was not as well prepared for a monster storm like Sandy,” he said. Deputy Director of Disaster Response for the Louisiana Municipal Association Brett Kriger provided an example of a simplified checklist of items needed for an audit given at an applicant briefing. 1.) Force Account Labor (FAL): accurately completed FAL summary records; applicant benefits calculations worksheets and pre-disaster overtime policy. 2.) Force Account Equipment (FAE): accurately completed FAE summary records (total equipment hours for each piece of equipment utilized shall not exceed total hours charged for equipment operator’s time); evidence that equipment rates in existence prior to the disaster were used if such rates are lower than FEMA approved rates or FEMA approved rates if pre-disaster rates are higher than FEMA rates. 3.) Materials: accurately completed material summary records; itemized invoices and/or receipts for all items including, but not limited to clear descriptions of items purchased (e.g., serial numbers or other identifying information) costs, dates, vendors and invoice/receipt numbers. 4.) Rental Equipment: accurately completed rental equipment summary records; itemized invoices and receipts for all items, including but not limited to clear descriptions of items purchased/rented (e.g., serial numbers or other identifying information, costs, dates, vendors and invoice/receipt numbers); copies of all rental agreements/contracts. 6.) Procurement: documentation indicating that either state or federal procurement regulations, whichever are applicable, were followed or a legally acceptable explanation as to why applicable state or federal procurement regulations were not followed, including but not limited to copies of RFPs, summaries of responses to RFPs, price quotes and bid tabulations. Kriger offered some additional advice. He’s been involved with storm management and audits on some level since 1990. He said the main thing that gets municipalities in trouble with audits is that they don’t follow their own local and state codes and bid processes. Every audit is done identically, according to Kriger. They’re done in accordance to The Stafford Act and an audit is required. “For some reason some municipalities think it won’t happen,” he said. A city or town has to have internal controls in place, show that it made a good faith effort to competitively bid, got approval before it awarded contracts and tracked every expense. Kriger said FEMA holds an applicant briefing meeting that is typically three to five hours long where it lays out expectations, passes out notice of intent and determines who is going to be the fiduciary.